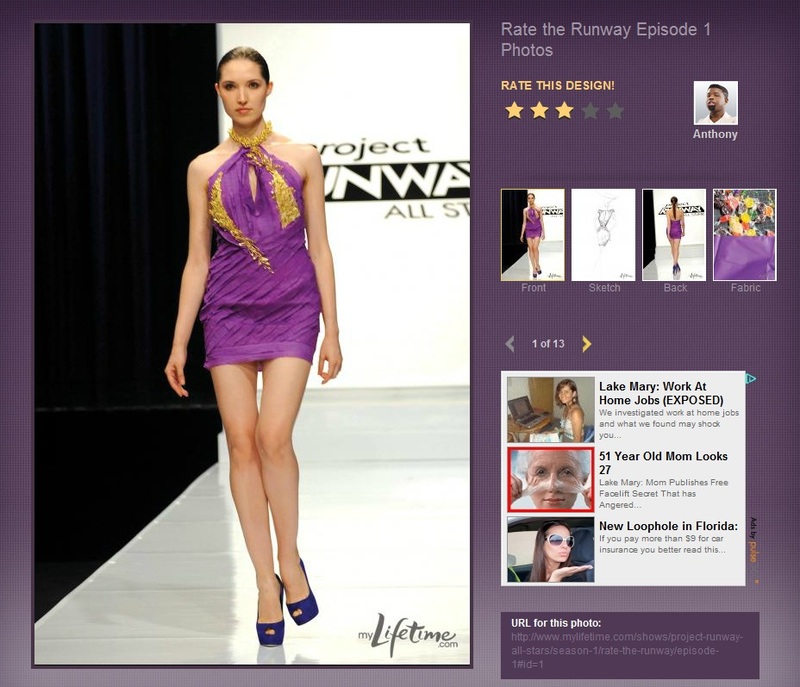 The Project Runway team have been busy busy these last few months! First the season premiere of Project Accessory and now Project Runway All Stars. On top of some of the designers they brought back (oh and they picked such good ones too!) I am so excited to see Isaac Mizrahi as a judge. He is such a talented artist and designer, and brings a totally different point of view then Nina, Michel and Heidi. I am a bit tired of seeing them and hearing the same things OVER AND OVER! Unconventional challenge? Yes please! The 99 cent store challenge is such a good start to the season. I think it really gives a creative burst of ideas to the designers, but from a viewer’s point of view, it is so nice to see the truly creative people shine and work out of their comfort zone creating masterpieces. If you haven’t had a chance to watch this episode yet (and why not!?) make sure to check it out on the mylifetime.com site now! They also post pictures and other goodies from behind the scenes. On with the pictures! Some of my favorites from this episode are………..
Anthony, oh Anthony you and your intense personality! And yet you have such a beautiful dress! This would be perfect for spring or summer. Jerell had a beautiful dress, was it really unconventional? Meh, but it sure looked better than the mops! Mondo, who I personally think should have won in his season, made a gorgeous dress, that looked so expensive and so well made. Having said that, let’s look at Rami. OH MY GOSH. Not only is he easy on the eyes, but look at this dress. I would have NEVER guessed that the dress he put out on the runway came out of the 99 cent store. Look at it! Crazy! This is going to be a GOOD season! I can’t wait!